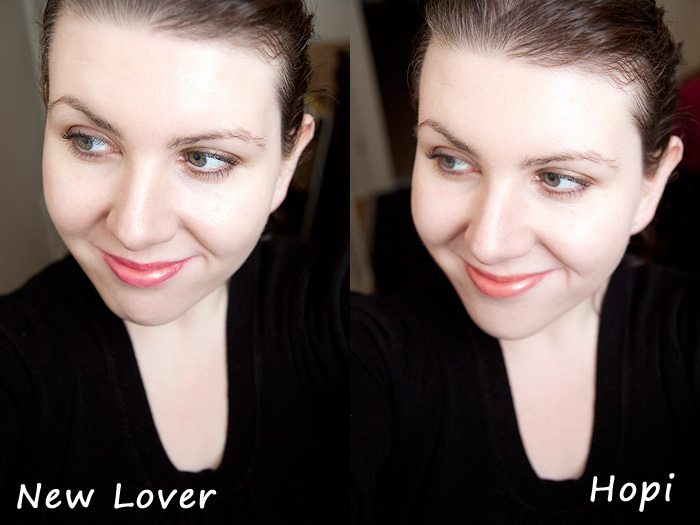 Despite the moniker, lip glosses aren’t really my bag. I find them gloopy, sticky, uncomfortable to wear and unless careful not to overapply, can make you look like an extra from Saturday Night Beaver. Admittedly, they’re less high maintenance than lipsticks and are undoubtedly nifty for quick touch ups when your lippie has all but been eaten away. However, for me… they come a poor second to my faithful lipstick devotion. So, how about a hybrid? 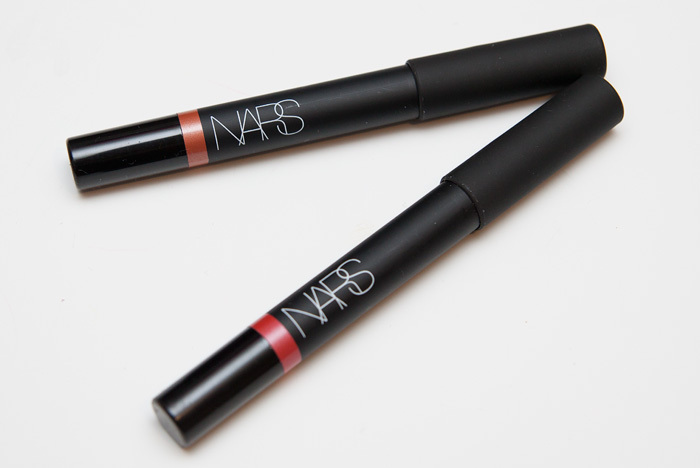 NARS Velvet Gloss Lip Pencils are still fairly new additions to the market. Launched in February, they promise the convenience of a pencil with the application of a lipstick in a jumbo-size crayon design. Well, first things first… you can kiss the gloopiness issues goodbye. Thanks to this delivery method, you can apply a thin, even layer of gloss over your lips without any thickness or pooling. Yes, they’re still a touch tacky on the lips but there is no risk of those disgusting stringy gloss strands when you open your mouth… and we’ve all seen too many of those on over-enthusiastic gloss wearers right? 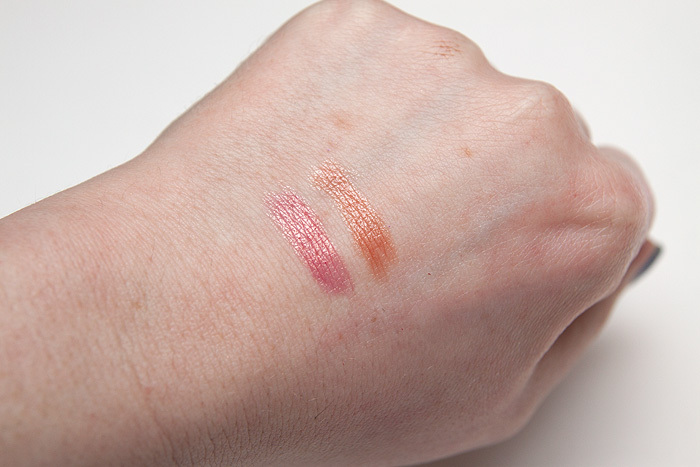 I was sent two shades from the lineup: Hopi (Honey Beige) and New Lover (Strawberry Pink laced with Gold). New Lover on the left and Hopi on the right. The texture is soft, really very soft… take care when sharpening these babies. I would have preferred to have seen them in a twist-up form but alas, they are what they are. Again, New Lover is on the left and Hopi on the right. They’re well pigmented with great, natural colour. I feared that their pencil form meant that they might go down faster than a fat kid on a seesaw but they’re holding up better than I expected on that score. Because of their convenience, I keep New Lover in my bag for when my lipstick wears off and have been substituting it for quick fixes post-lunch. I also have my eye on Baroque which seems more to my taste with its bolder, raspberry undertones. They’re pretty, understated shades that dodge my lipgloss-hating bullet well. 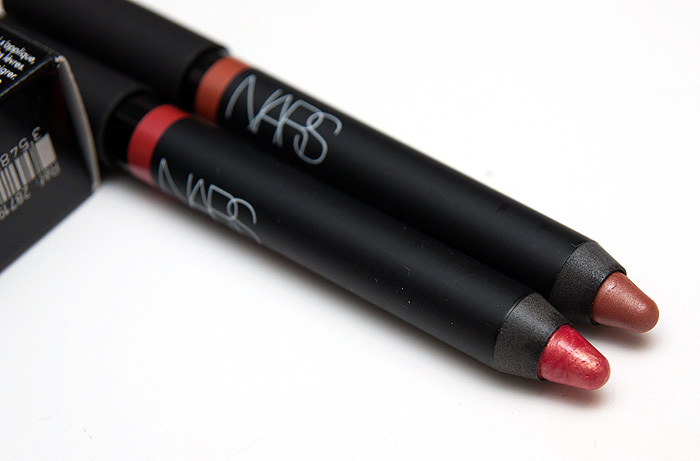 NARS Velvet Gloss Lip Pencils are priced at £17.50 a-piece and are available online and on counter now. They both look beautiful on you – love that they seem to have a sort of gold sheen. Both look lovely on you! Although, i thought the New Lover would have come out a bit stronger but nevermind. Glad you reviewed it as that was the one I had my eye on.